A tavern was built by the Conger family before the Revolutionary War. According to historian Percy Crayon, George Washington and his entourage stopped for dinner here while on their way down Main Street to visit General William Winds. Winds had a farm in the area (era 2016 - Route 10/Randolph K-Mart Plaza). It is unknown if any of the Conger tavern's foundation might still exist, but the Rockaway Hotel dates back to the early 1830's. The Rockaway hotel was owned by John Riggott, a well-known sharpshooter who competed in a pigeon shooting match with Annie Oakley. According to our history book, the Rockaway Hotel was a favorite place for Annie Oakley to stay on her way to perform in Buffalo Bill's Wild West Show in New York. Newspapers, including the New York Times and the Dover Iron Era, reported Oakley's shooting match "at 50 birds, Hurlingham rules," with John Riggott on April 20, 1889. Oakley and Riggott each hit 43 birds, resulting in a tie. Then in the parlor of the Rockaway Hotel in July 1894, John Riggott hosted a small group of men for the purpose of organizing a Borough form of government. This proposition was soon ratified by the voters, and the Borough formally separated from the Township. 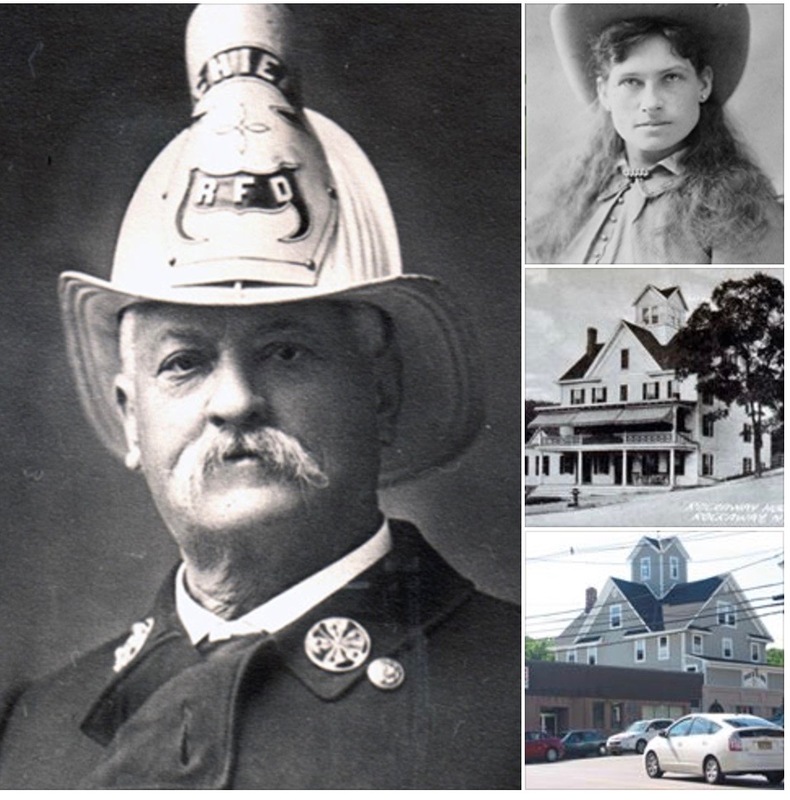 Riggott then served as one of the Borough's first councilmen, but in 1897, resigned that position to become the first Fire Chief for the Borough.